Capacity remains the most pressing logistics issue across the supply chain in 2018. This is especially true within the transportation sector, where the driver shortage, ELD mandate, and other factors have severely impacted the trucking industry’s ability to handle increasing freight volumes. Because of this, more shippers are turning to intermodal transportation for capacity. In the current logistics climate, freight is ready for the taking and intermodal is poised to handle capacity that OTR alone cannot. Because of this, 2017 finished on a very high note for the intermodal industry and 2018 looks even better. Along with the trucking industry’s current issues, intermodal growth has also been helped by stable oil prices and an improving U.S. economy. Intermodal shipping allows you to transport your freight in an intermodal container (sometimes called an ISO container) or vehicle using multiple modes of transportation, including railways, barges and trucks. Here we look at the advantages of intermodal freight transport and what you’ll need to do to make the switch. Intermodal opens up other avenues of transportation that are more readily available so trucking services can be kept to a minimum. While trucking is still part of the intermodal system, it’s easier to find a truck driver to do a short day run versus one who will provide long-haul services. 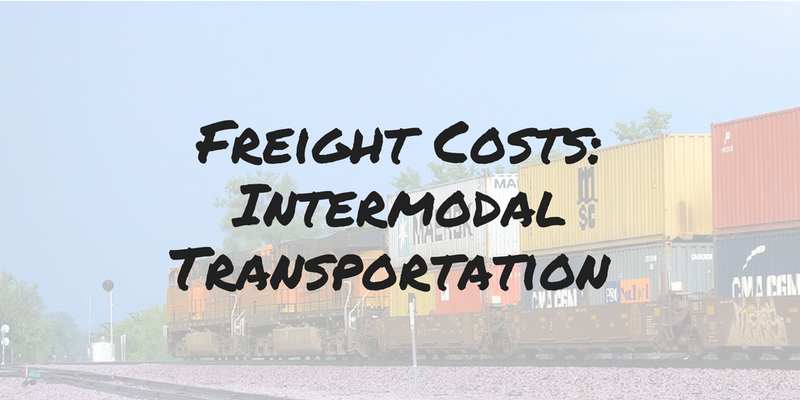 Utilizing intermodal transportation is also significantly cheaper than relying exclusively on long-haul trucking. The bulk of the miles for an intermodal shipment will be logged on a train, which is far less expensive than over the road trucking. Intermodal is also more environmentally friendly than long-haul trucking because large numbers of freight containers are moved together using the most efficient modes of transportation. While intermodal transit time can take a little longer than long-haul trucking, a third-party logistics provider can help you plan ahead and build the extra time into your schedule. And if you’re accustomed to shipping delays caused by waiting for long-haul trucking services to become available, you may find that intermodal is actually faster than your current shipping solution.